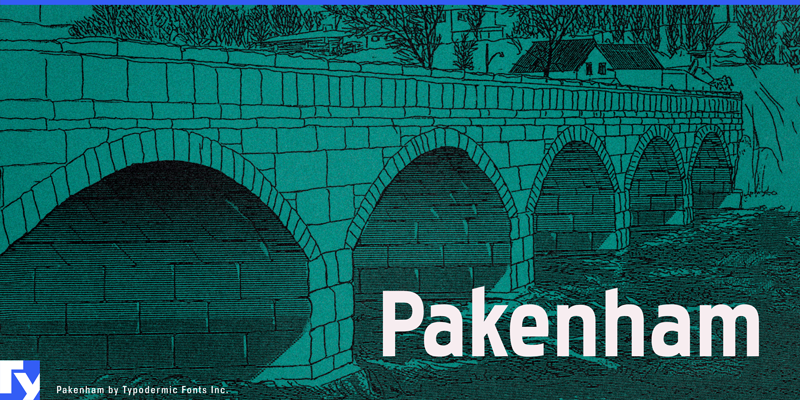 Mid 20th Century hand-painted signs inspired the design of the Pakenham typeface. Its quirks and imperfections will give your creations a home-spun, personal feeling. There are 4 weights, 2 widths, italics and special effect styles: 32 in all.